Eugene Smith lived in Middletown, but he traveled 14 miles by bus every day to attend Hamilton Catholic High School because there was no Catholic high school in Middletown. 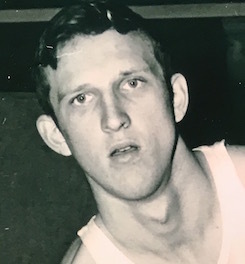 Thus his schoolmates gave him the nickname “Middie.” Hamilton Catholic played a strong schedule that included teams from Dayton, Columbus, Cleveland and Toledo. 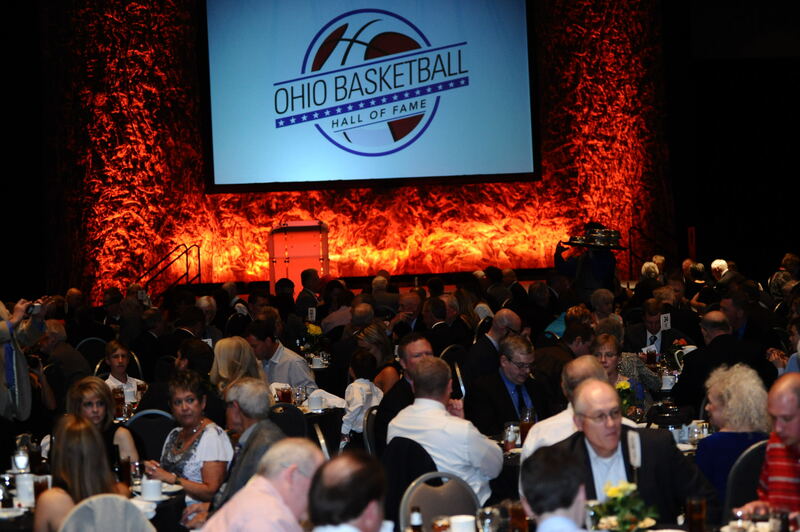 Smith's team advanced to the state Class A (big school) final in 1948 but lost to Findlay. 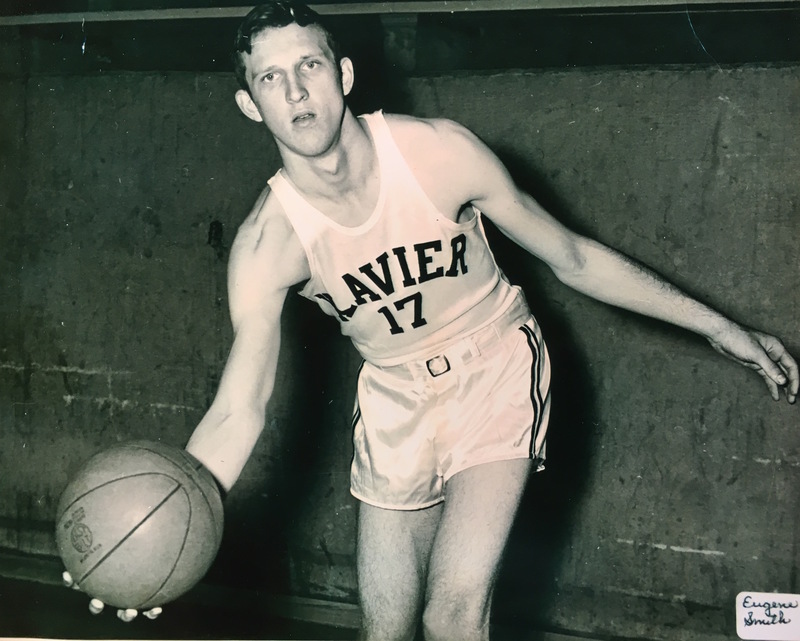 The 6-foot-5 Smith followed his high school coach, Lew Hurt, to Xavier University and was X's leading scorer for three straight years, averaging 15.8, 13.9 and 20.6 points in his three seasons. 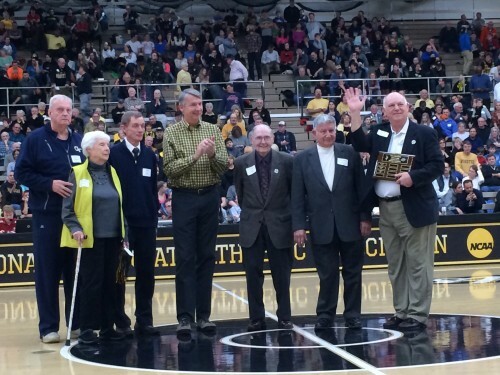 He graduated in 1952 as the Musketeers' all-time leading scorer with 1,109 points. 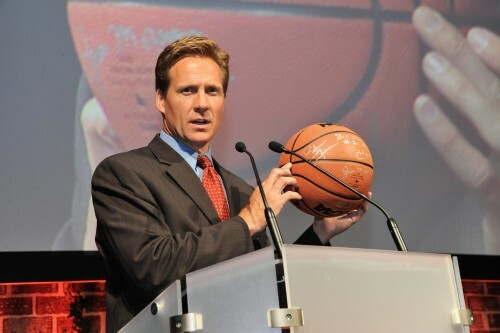 He was drafted both by the Minneapolis Lakers and Uncle Sam. Consequently he spent two years in the Army. 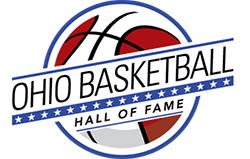 After his discharge, he played two seasons for the Akron Goodyear Wingfoots of the National Industrial Basketball league. That led to a 40-year association with the Goodyear Tire & Rubber Co.